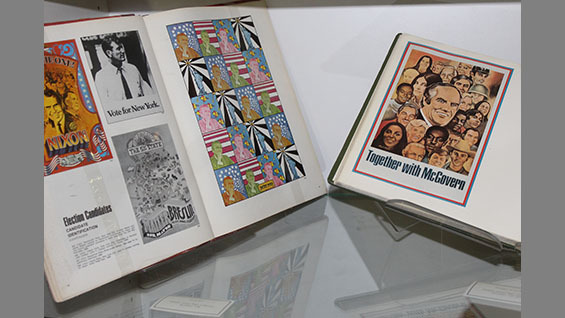 From now until November 8, the library offers some historical insight on this contentious election season with a new exhibition highlighting some of the library’s rich holdings related to the ever-colorful world of politicking. 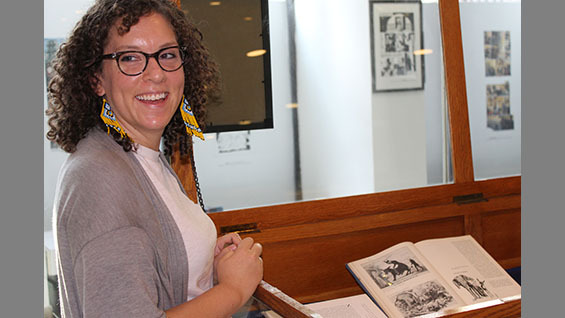 Curated by Librarian and Archives Assistant Katie Blumenkrantz, the exhibition includes magazines, posters, editorial cartoons and books documenting political luminaries and lowlights—from Ulysses S. Grant to the ever-glamorous John Lindsay, New York’s mayor from 1966-73, to an enthroned Richard Nixon as drawn by a then-junior, George Angellini A’74. 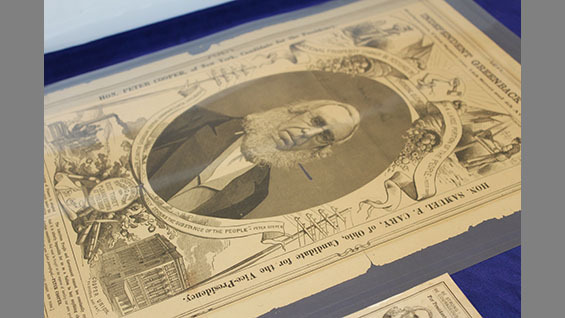 The Cooper collection includes ephemera from Peter Cooper’s 1876 presidential campaign. 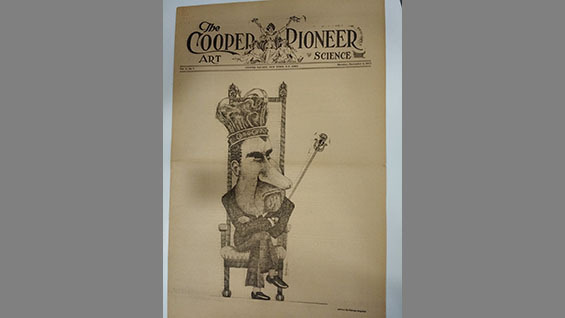 As the first candidate of the Greenback Party, Cooper represented the national party that was founded to combat post-Civil War inflation as well as the growing number of corporate monopolies. 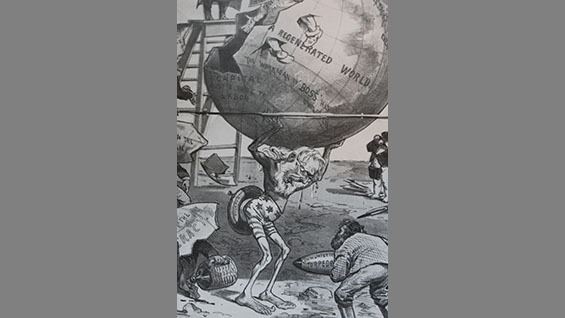 Its name came from the money issued by the federal government during the Civil War, a currency not backed by a gold standard.